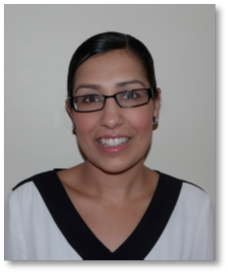 Dr Lisa Soares is a warm and compassionate clinical psychologist, who takes a genuine interest in the wellbeing of others. Her person-centred approach encourages a safe and supportive therapeutic space, in a non-judgemental environment. Lisa is committed to helping her clients deepen their own understanding of their struggles by noticing what gets in the way of making positive change and assisting them in taking steps towards living a rich, full and meaningful life. With over 14 years’ experience in public mental health and the private sector, Lisa works with people over the age of 16 years with a wide range of issues including, anxiety and mood disorders, perinatal adjustment issues, stress and life adjustment difficulties, relationship and family issues, health concerns, personality disorders and psychotic illnesses. She draws from a range of evidence-based therapy approaches tailored to recognise and respond to the individual needs and experiences of her clients. Lisa favours using Acceptance and Commitment Therapy (ACT), a third generation evidence based CBT approach, as well as other related mindfulness and behavioural-based interventions, when working with clients. She is currently a board member for the Australian and New Zealand Chapter of the Association of Contextual and Behavioural Science (ANZACBS) and was Conference Chair for the ANZACBS Conference in Melbourne in 2016. In addition to being a Private Practitioner, Lisa has worked in a range of leadership roles as well as in the University sector. She works collaboratively with service managers, driving practice change at one of Melbourne’s largest public mental health services and is supporting the introduction of a range of evidence based interventions into the workplace. Lisa also provides professional supervision and training to psychologists and other health practitioners across a variety of sectors. An individual session with Lisa runs for 50 minutes. An Initial Consultation is $240, with subsequent sessions a standard fee of $180. This compares with the approved rate of the Australian Psychological Society which is currently (November, 2016) $241. Medicare can provide rebates of $124.50 per session for up to 10 sessions per calendar year. Your referring doctor will review your progress after six sessions. To claim a rebate, you MUST have a referral letter plus a Mental Health Care Plan, from your GP or psychiatrist. Lisa understands that people have different financial situations. If you are unsure if you can afford therapy, we are more than happy to discuss your situation and the options available to you. If you need to cancel or re-schedule your appointment, we ask that you do so more than 24 hours before an appointment. A 100% cancellation fee may apply if this does not occur. This fee is NOT covered by Medicare and will be payable before you can reschedule another appointment.